There’s nothing quite like fresh bread. With good technique, a baker can take just a few simple ingredients and turn them into something almost magical. Kneaders Bakery & Cafe in Parker opened last month and now makes that magic close to home, turning out 600-900 pounds worth of various beautiful breads daily. 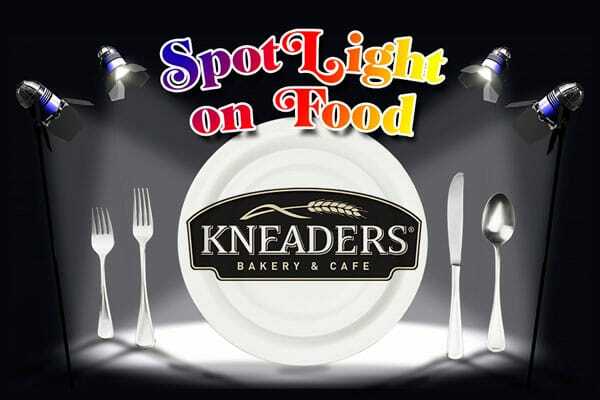 Bread, as important as it is, is just the beginning at Kneaders. Using that bread, the kitchen produces fresh, tasty sandwiches, along with crisp salads and warm, comforting soup. Turkey, a star ingredient at Kneaders used in both salads and sandwiches is roasted on-site daily and hand-pulled. It is reminiscent of the turkey you might find on your Thanksgiving buffet, but it is available year round, moist and delicious. That same bread makes amazing French toast, served all-you-can-eat style every day until 11 a.m. Or if you prefer, pancakes, oatmeal or omelets are a great way to start the morning. A full espresso bar featuring Lavazza coffee or a hot chocolate, steamer, or smoothie are a natural accompaniment to both sweet and savory choices. The drive-through is handy when you’re grabbing a bite on the go, but if you have a minute to step inside, you will find a homey sort of place featuring a tasteful, warm interior and a cozy fireplace. A retail area, where diners can pick up a gift for a friend ranging from home décor to jewelry and accessories, is also available in the store. Gift baskets that combine gift items with goodies from the kitchen are available pre-made or can be made-to-order in just a few minutes. Kneaders originated in Orem, Utah about 17 years ago. Founders Gary and Colleen Worthington developed recipes based on traditional European breads and sweets for four years before opening their doors at their first store. That European influence is evident throughout all the offerings on the menu, but especially the dessert selection. I happen to be a frequent visitor to Utah, so even though Kneaders is new to this area, I’m intimately familiar with just about everything on the menu, but especially the sweet treats. Cookies, pie, brownies, and cheesecake fill the front display case, making for some tough decisions when it comes time to order. My personal favorite is the Napoleon, a perfect marriage of flaky pastry and pastry cream that is sweet without being overpowering and substantial enough to support the pastry while still being light and fluffy. 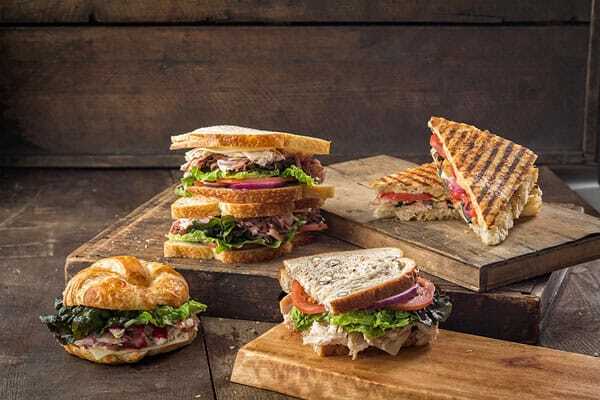 Like everything else at Kneaders, portions are generous enough to share, though once you take a bite, you may not want to. Catering is near and dear to Day’s heart. Seven years ago, before Day’s career path brought him into the bakery business, Kneaders catered his wedding. Today, he’s proud to be a part of the important celebrations of others. Kneaders is located at the corner of Parker Road and Mainstreet in Parker, 19190 East Mainstreet (Hobby Lobby parking lot). Kneaders is open Monday through Saturday from 7 a.m. until 10 p.m. and is closed on Sunday. For more information, visit www.kneaders.com. 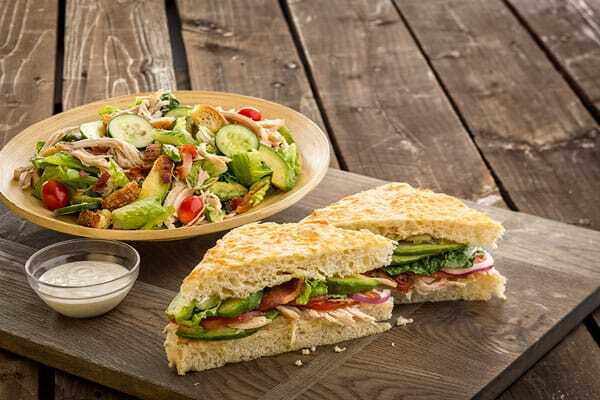 The turkey, bacon and avocado sandwich and salad are lunchtime favorites; fresh and delicious! 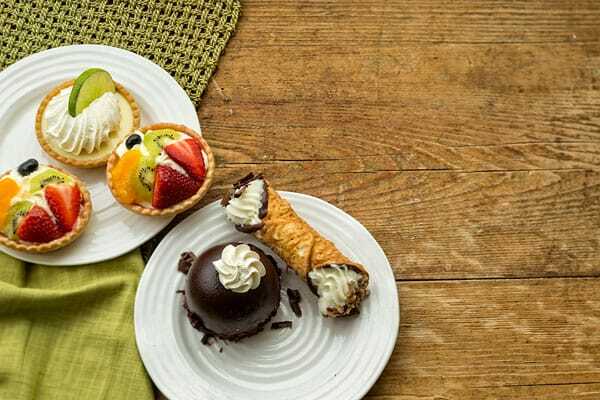 Popular dessert selections include the fruit tarts, chocolate mousse dome, and classic cannoli. With a wide variety of sandwich selections, Kneaders is a great choice for catering platters and lunch boxes.